In this 1-hour plus video exclusive for Prison Planet.tv members, Peterson reveals how she was first spurred to investigate chemtrails after being alerted to them by someone at the Mendocino County Probation Department. Peterson then began to intensely study the phenomenon and note that aircraft producing the trails would circle the county in a clock-like loop, covering the entire area with a cloudy haze in as little as three hours. Peterson cites NASA studies showing that the chemtrails turn into man-made clouds, exacerbating artificial climate change. However, Peterson states her contention that NASA is attempting to cover-up the true nature of chemtrails and convince people that they are a natural phenomenon, a ruse dutifully parroted by top weather and satellite observatories, who as Peterson explains acknowledge the fact that man-made chemtrails are changing the weather yet still label them as natural weather fronts in their public broadcasts. Peterson shows a map provided by the FAA which reveals how “intra-flights” – mainly of military origin – are causing the chemtrails by flying in loops around counties in flight paths that differ substantially from normal airline trajectories. The flights have no other obvious purpose than to disperse chemtrails because they have no fixed destination, they merely fly around and around in circles. 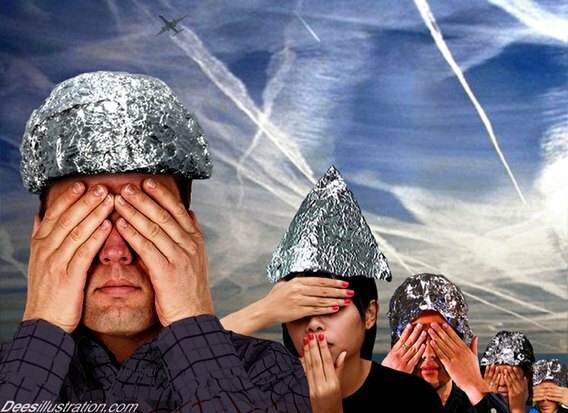 As proponents of geoengineering like Obama’s science czar John P. Holdren have proposed, blocking sunlight is a primary effect of chemtrailing, and sulfur could be one of the chemicals being dispersed by these trails. As Peterson explains, sulfur has been linked with a host of health problems, which is why California removed it from diesel fuel in the first place. After studying water quality samples for the state of California stretching back some 30 years, Peterson found that starting from 1990, water sources were all registering unusual spikes in certain chemicals at precisely the same time, namely arsenic, barium, aluminum, calcium, manganese, magnesium, lead and iron. By measuring the spikes in these chemicals in the water supply with similar spikes in these chemicals in air quality samples, Peterson was able to conclude that the cause was airborne and that it had to be coming from the atmosphere. Peterson notes that mixing aluminum and barium creates clouds and that NASA experiments based around this concept were coinciding with the spikes in such chemicals measured in water and air quality samples. This is an enlightening, detailed and documented explanation of how chemtrailing is being conducted, who is responsible for it and what the consequences are for our health and the environment.